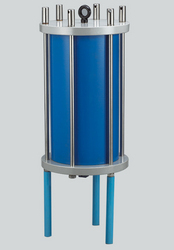 Manufacturer of fluid level gauge, water filter housing, iller breather assembly etc. is available in two sizes – 3" and 5" between bolt centres. has a sturdy and low profile outer case. is ready for immediate installation; complete with gaskets and attaching bolts. requires only two mounting holes for installation. should be installed on a smooth and level surface. has all external metal parts plated and, or powdered coated. has a large and clear sight area providing high visibility. is available with optional temperature gauge. 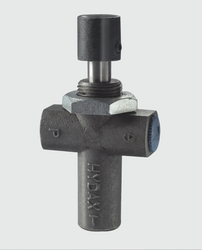 * is available in five sizes - 3", 5", 7", 10" and 14" between bolt centres. * is of a new-age design with 'o' ring sealing. * has a sturdy and low profile outer case. * is ready for immediate installation; complete with attaching bolts. * requires only two mounting holes for installation. * should be installed on a smooth and level surface. * is made from high grade compound plastic (3", 5" and 7") and aluminium and sheet metal (10" and 14"). 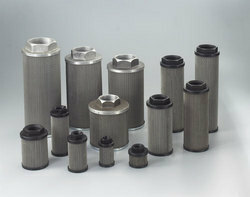 * has all external metal parts plated and, or powdered coated. * has a large and clear sight area providing high visibility. * is available with optional temperature gauge. * is available in Tank Top (TT) and Side Mounting (SM) options. 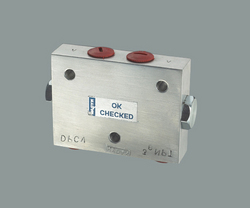 * has displacement capacities of 250 LPM and 700 LPM. * has standard filtration of 40 microns. * displaces air from underneath the cap thereby improving performance. * is compatible with all fluids. * parts are powder coated and or made from high grade plastic ensuring non-corrosion. * has a Safety chain to prevent misplacement while filling oil or cleaning the filter. * is a ready to install package with fasteners and safety chain. * is available in five sizes to suit 1 hp to 75 hp. * has crowned tooth form gears permitting axial and maximum angular misalignment of 1. 5 degrees. * is easy to assemble and require no maintenance or lubrication. 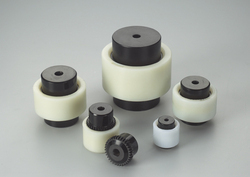 * has superior material and can withstand wide operating temperatures and severe load conditions. * has no transmission noise. * is available in 6 sizes with port sizes of ½" bsp, ¾" bsp, 1" bsp, 1 ¼" bsp and 1 ½" bsp for flows up to 450 lpm. 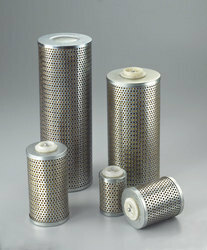 * has filtration options of 10 microns and 25 microns in each size. * can withstand maximum pressure of bar. * comes with an optional visual clogging indicator. * contains a magnet built in to arrest ferrous particles in the system. * has a by-pass check valve to handle excess pressure due to clogging. * allows easy replacement of the filter cartridge without disturbing the plumbing. 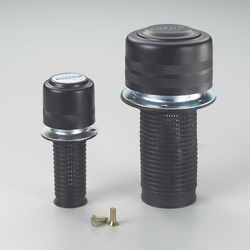 * requires one inlet fitting and discharges directly into the reservoir. * has an outlet suitable for hose connection thereby reducing the installation cost. * is made from high grade impregnated paper to ensure the desired micron rating. 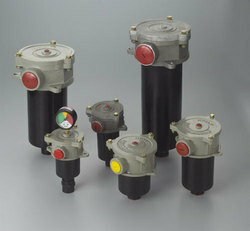 * comes in six sizes to match the corresponding return line filters. 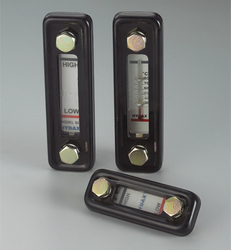 * has filtration ratings of 10 microns and 25 microns in each model. * is made with a generous filtration area for longer intervals between cartridge changes. * Is interchangeable with competitive models. * come in a range of flows from 15 lpm (3 gpm) to 450 lpm (100 gpm) and thread sizes of ½" bsp to 3" bsp. * have a standard filtration of 149 microns. * construction consists of a stainless steel filtering media, supported by inner plated perforated sheet and affixed with epoxy bonding material to plastic/aluminium alloy/sheet metal top and bottom caps. * have a one-piece top cap head adaptor construction to avoid severing. * can withstand extremely low pressure drops. * can work upto a maximum temperature of 90 deg c.
* are versatile to handle a wide variety of system fluids. 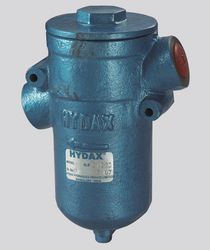 * comes in four sizes for flows upto 600 lpm with fluid viscosity of 80 ssu at 40 deg celsius. * has filtration options of 10 microns and 25 microns. * operates under working pressure of 15 kg/cm2. * has strong ferrite magnets in the flow path to arrest ferrous particles. * is made with a built in by-pass valve in cases of clogging. * body is made from high grade casting. * is available in 10 micron, 25 micron and 75 micron ratings. * has a maximum working pressure of 140 bar. * has a flow rate of 20 lpm. * uses sintered bronze filter cartridges to provide absolute filtration. * is made from high grade castings and has nitrite rubber sealing. * has a 3000 psi working pressure. * comes with a guarantee of below 5cc/min. Drain leakage in a new valve. * can work between temperatures of -34. 44° c (-30° f) and 115. 56° c (240° f). * is made from a high grade investment casting body. * requires minimum force to operate. * has easy plumbing into the system. * is tested 100% under rigid parameters. * can be panel or line mounted. * meets most operating conditions. * body is made of extruded aluminium alloy. * has internal parts made of hardened steel. * has a rated flow of 30 lpm. * functions with a working presssure of 210 kg/cm3. * has a damped pilot piston to reduce damaging shocks. * comes with easily replaceable seats in some models. the housing is made of fiberglass reinforced plastic (frp) and the housings have an internal lining. The inlet and outlet ports are located at the bottom cover and have bsp threading. The design provides for easy disassembling in order to clean and change the cartridge. The housings are suitable to accommodate double open ended (doe) and 'o' ring cartridge configurations. while the housings are rated for working pressure of 10 kg/cm2 and tested upto 20 kg/cm2 , higher pressure rated ones too can be made in case of specific requirements. 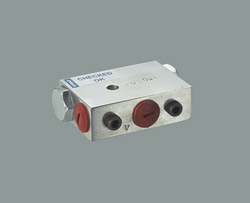 Suitable for temperature ranges upto 50°c. The externals are made of anodised aluminium or stainless steel. A provision for vent and pressure gauge has been provided. 1. 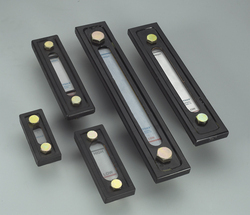 A glass filter/epoxy bonded outer layers with food grade lining inside. 2. Test pressure upto 20 kg/cm2. 3. Available in tierod version or flanged version with bolt and nut. 4. All internal components are made of food grade compatible material. 5. The 3-element housings have 1½" bsp connections and the 6-element ones have 2" bsp connections for the inlet and outlet. 6. Both the inlet and outlet are from the bottom of housing. 7. 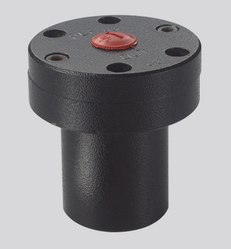 A suitable pressure gauge port and vent port is provided on top of the flange. 9. Optional 40 kg/cm2 housings can be made available. * has a standard filtration of 40 microns. * is available in a large variety of thread sizes. * all parts are plated and or powder coated for corrosion resistance.